Do you want to get the BEST insider info on guitar strings? ...Then get the professor's newsletter for FREE! 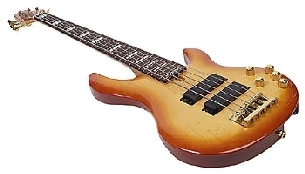 Secret Tips about guitar strings and bass strings. Information on getting your instrument to play easier, faster, cleaner...and stay in tune. The latest information string companies do not want you to know...and there is lots of it! You will also receive information not found anywhere else on the Web or in a magazine. Oh, did we mention there is NO BULLSH*T in these newsletters? ...just wanted to make sure. Many professional players and music scholars have found some of the best tips and insights in these free newsletters. More importantly, they are FREE to those of you on a shoestring budget. Don't be the Professor's class dunce!